Lodge 9" Mini Wok Just $19.69! Down From $37! PLUS FREE Shipping! You are here: Home / Great Deals / Amazon Deals / Lodge 9″ Mini Wok Just $19.69! Down From $37! PLUS FREE Shipping! Lodge 9″ Mini Wok Just $19.69! Down From $37! PLUS FREE Shipping! Check out this Lodge 9″ Mini Wok which is on sale at Amazon for only $19.69 down from $36.99 PLUS FREE shipping! Lodge 9″ seasoned cast iron mini wok features a flat base and dual handles for a safe, secure grip when transporting. Seasoned with oil for a natural, easy-release finish that improves with use, this wok is perfect for exotic cuisines or home spun favorites. 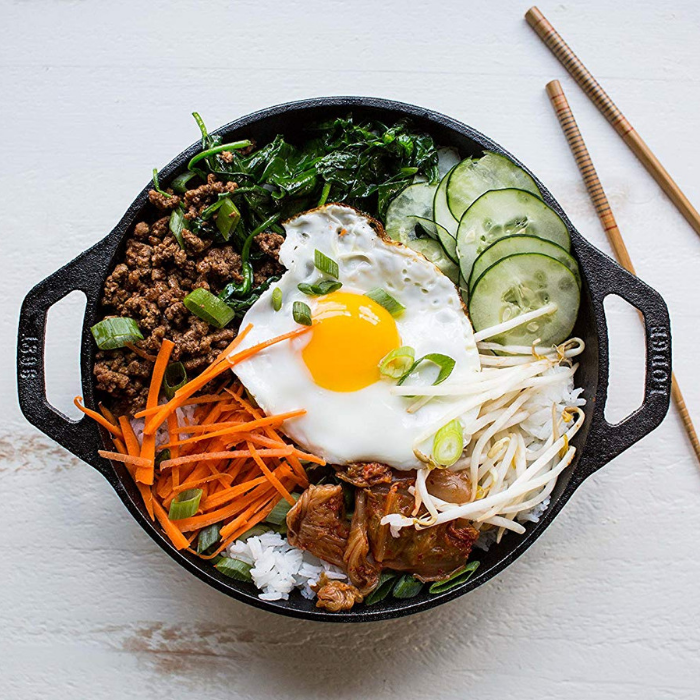 The Lodge cast iron mini wok retains heat well, making short work for any dish. The right tool to sear, saute, bake, broil, braise, fry or grill, the wok is at home in the oven, on the stove, on the grill or over the campfire. Cast iron is unparalleled in heat retention and even heating. Great for induction cooktops.